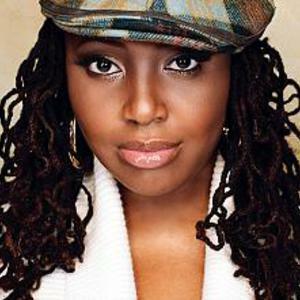 Lalah Hathaway is a contemporary R&B/Jazz singer and the daughter of soul legend Donny Hathaway. After studying at Berklee, Hathaway signed with Virgin Records and released her self titled debut, Lalah Hathaway, in 1990. The set spawned 4 R&B Hits, including the Top 5 smash Heaven Knows. Her 1994 follow up, A Moment, did less well, and Hathaway parted ways with Virgin. She went on to work with many other established artists, including Take 6, Mary J. Blige and Marcus Miller, writing, producing and doing background vocals. In 1999 Jazz legend Joe Sample collaborated with Lalah on the album The Song Lives On, which became a staple on both Jazz and Smooth R&B radio, as well as topping the Jazz charts. However, it would not be until 2004 that Lalah Hathaway would resurface with her own project. She had her biggest hit single in years with an inspired cover of the late Luther Vandross' Forever, For Always, For Love, topping the Urban AC Chart and reaching Top 40 on Billboards mainstream R&B chart, a feat repeated by Outrun the Sky, Hathaway's first solo album in a decade, which was released late in the year.